The Super Bowl is the Academy Awards of advertising, a night where advertising’s finest work wins by playing to an audience of millions. Over 100 million, actually. So when our agency clients asked us to work on their coveted Super Bowl spots and integrated campaigns, we gave them our best game. Our New York, Los Angeles and London offices worked on some of the Super Bowl’s most popular commercials, evoking cinema’s favorite genres. BMW 'Changes' takes a road trip through the decades to illustrate the eco advances of diesel-fueled vehicles. 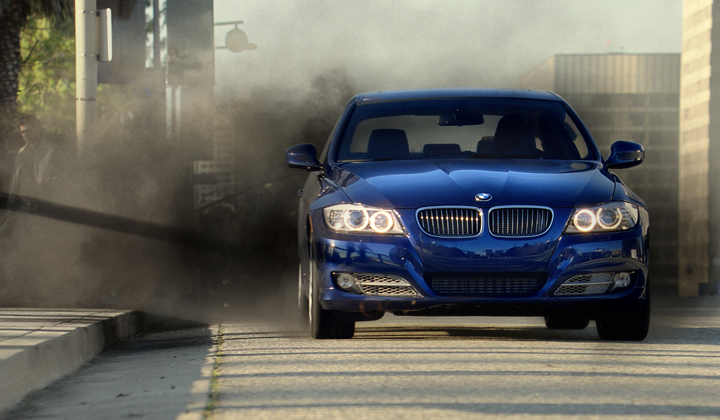 From Kirshenbaum Bond Senecal & Partners, director Christian Loubek and The Mill, this entertaining and visually clever Super Bowl spot illustrates that BMW Advanced Diesel cars have come a long way from their eco-oblivious ancestors. David Bowie's classic 'Changes' provides the perfect score. Mill Lead 2D Artist Jeff Robins explains enhancement was done to the diesel smoke emitted by Advanced Diesel predecessors. That involved sourcing smoke plates and white smoke shot against black, so the team could make a matte and key the smoke onto the picture. A regrade made the smoke darker. One shot comically exaggerates a trucker coughing up diesel through CG animation that was comped and graded. Other touches included CG smoke passes, green screen shots and lens flares.